Oh Pikes Peak, how I miss you already! I’m feeling a little lost now that my main race of the year is over, but it went well so I’m happy about that. Time goal met! And I was able to finish without feeling like absolute garbage, which I was pretty worried about going into the race. 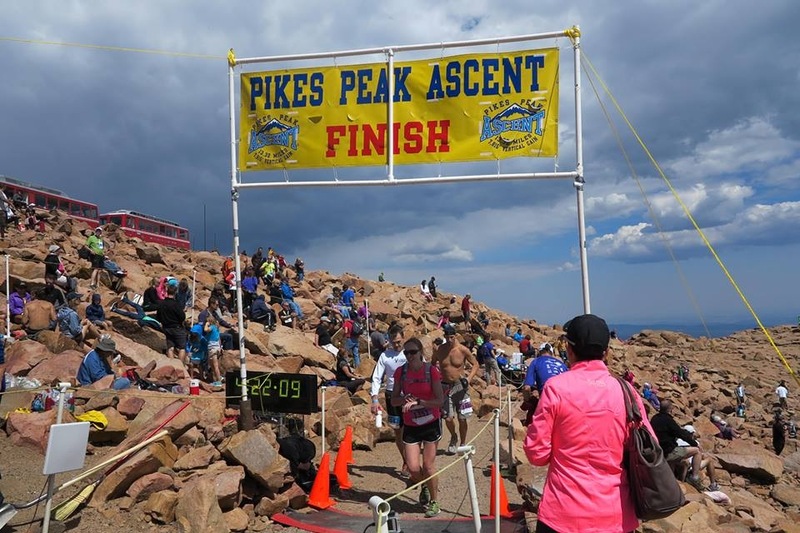 My stomach started feeling a little nauseous during the last 2 miles but other than that I felt pretty good, which is not something a lot of runners at the Pikes Peak Ascent can say at the end (or middle) of the race. One of the many interesting things about the race was how many people I passed who were pulled over to the side of the trail stretching due to muscle cramps. I’ve been lucky in my training and racing that I’ve never (knock on wood) experienced issues with muscle cramping. Stomach issues, sure, but no muscle cramps. Or is it luck? I’m pretty good about taking in adequate amounts of fluid, electrolytes, and carbohydrates. I even added an electrolyte tab to my Nalgene the day before the race in an attempt to start the race with all my electrolytes topped off, since I’ve recently read about the benefits of this (not to be confused with eating a high sodium diet on a daily basis, which is not good for your health). Muscle cramps are an interesting, if not painful, subject and researchers are still trying to understand them completely. It’s commonly believed that electrolyte imbalances, namely lack of sodium, potassium, calcium, and/or magnesium, are the cause of muscle cramps, but many scientists now believe that muscle cramping may actually be related to muscle fatigue from overexertion, not electrolyte issues. The bummer about scientists not knowing what exactly causes muscle cramps is that there is not one perfect solution if you get them, but there are some things you can do. – Eat from a wide variety of foods that provide adequate electrolytes on a daily basis. For potassium: bananas, potatoes, dark leafy greens, beans. For magnesium: dark leafy greens, seeds, beans, nuts, whole grains. For calcium: dairy products, dark leafy greens, (noticing a trend here?) sardines, fortified orange juice. Consume moderate amounts of sodium (no more than 2300 mg/day). – Adequately hydrate before, during , and after your races and training runs. Determine your personal sweat rate by weighing yourself immediately before and after a 60 minute run (don’t drink water on the run if possible, or if you do factor it into the equation). For every pound lost, you need to drink 16 oz of water. – Be properly trained for your event. Include high intensity workouts that mimic running on tired legs. – Warm up and stretch pre race. – If you do get a cramp, stretching and massaging the affected area will usually lessen it. – A lot of people swear by pickle juice to cure cramps, possibly due to the sodium content. I’ve never tried it myself but if you can stomach it go for it! What other “tricks” do you use to manage muscle cramps? Whelp, here I am again, in the week before a race. Taper week. I’ve written before about the perils athletes face during race week. You’ve done all the training, and at this point too much training might actually hurt your race. You’re ready. You just want to do it already! Plus there are the worries about injuries or illness popping up. It can be a frustrating and anxiety provoking time period but there are things you can focus on. What’s that you ask? Mainly proper nutrition and adequate rest! So what is the key to pre-race nutrition? Well, nutrition professionals don’t always agree on the specifics about the “right” way to do things, probably because there isn’t one perfect way. Conventional wisdom calls for carb loading for endurance activities lasting greater than 2-3 hours and this is the protocol I typically follow as it seems to work for me. More recently there have been RDs and athletes experimenting with fat loading instead of carb loading, and having success, particularly with ultra endurance events. It’s important to find out what works right for each individual athlete based on sport, special nutritional needs, and preferences. One thing most nutrition professionals will agree upon regardless of where they stand on fat vs carbs is this: do not try anything new or different the week before the race. This is not the time to check out that new Indian buffet down the street! Continue eating foods your body is familiar with to avoid any GI distress. If your event will last longer than 2-3 hours consider upping your carbohydrate intake for 2-3 days prior to the event. Avoid the fallacy of the pre-race pasta binge. Eating one giant carb-packed meal the night before the race won’t help you maximize glycogen stores and may cause stomach upset. Proper carb loading requires increasing your carb intake to up to 10 grams carb/kg body weight (4.5 grams/pound bodyweight) for 2-3 days leading up to the event. If you carb load correctly you will gain some water weight, as each gram of carbohydrate is stored (as glycogen) with 3 grams of water. However, during this phase you will need to slightly cut back on protein and fat to avoid exceeding your energy needs and gaining true weight. The type of carbs you choose to fill up on can vary with preferences. A mixture of whole grain and processed carbs is okay during this time, as too many whole grains may cause GI issues due to the high fiber content and too much white bread/processed carbs can lead to blood sugar highs and lows (and accompanying symptoms). My carb loading days include lots of oatmeal (mix in pumpkin for a tasty bonus! ), bagels, French toast, pasta, sweet potatoes, fruits, low fat yogurt, and cereal. It’s fun for a couple of days to splurge on carbs, but if you are doing it right you’ll likely be sick of them by day three! As mentioned above your body stores carbohydrate with water, so it’s important that you are drinking adequate fluids during this time as well (although water is always important!). Carbohydrate drinks can be used to meet carb and fluid needs. The guidelines for carbohydrate intake prior to an endurance event are 1-4 grams carb/kg body weight 1-4 hours pre-event. The closer to the event you are eating, the less you’ll want to consume- i.e. 1 gram carb/kg body weight if you are eating 1 hour pre-event. How early before the event you eat depends on what time the race is, how early you are willing to get up, and knowing how long it takes for your stomach to feel digested before an intense workout. Most athletes will aim for 2-3 hours pre race. My plan for the Pikes Peak Ascent(tried and true for me, I’m not saying I recommend it for everyone) is as follows :about 1.5 hours pre event I’ll eat a bagel thin w/ 1 TBSP peanut butter, 1 TBSP honey, 1/2 banana, coffee, and ~4-6 oz beet juice. Then 30-45 min prior: 1 packet Generation UCAN made with 12 oz water. I’ve tried all these things before and they seem to work with my digestive system. But wish me luck anyway! 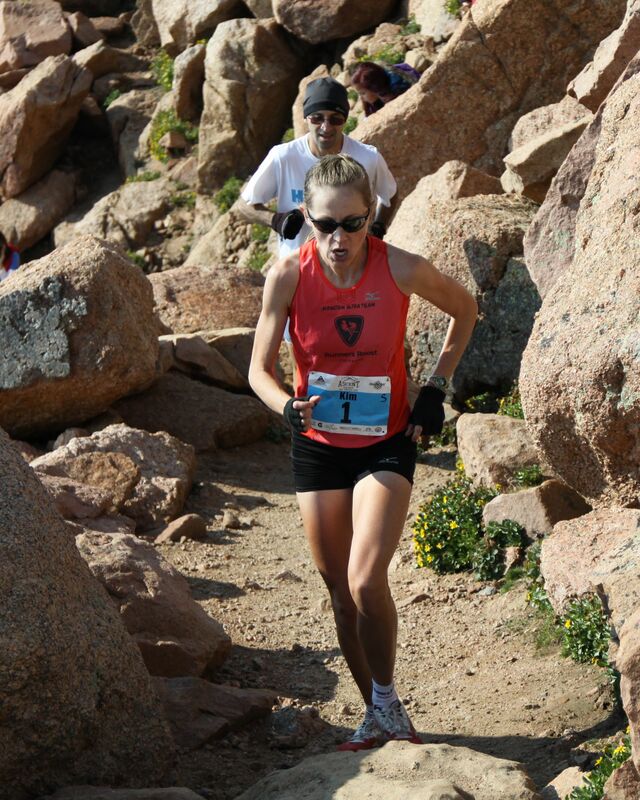 To sum it up: good nutrition, lower training volume, hydration, and good sleep = good race! Are you confused by lactate? It’s okay if you are. I sometimes am too. The problem is that researchers are constantly learning new things about the molecule, and even some of what I learned in my graduate program in exercise science in 2007-09 has already changed a bit. In reality there is enough info on lactate to write a whole book (or at least a chapter) so this will be a brief lesson in lactate. A “Lactate for Dummies” if you will! Often you hear people complain a day or two after a hard workout that their legs hurt from lactate build up, but that’s actually not what causes the pain that far post workout. That would be DOMS- delayed onset muscle soreness, which is caused by tiny micro tears in your muscles from the exercise. Not to worry though, these micro tears are all a part of the process, because your body will repair the tears and your muscle will actually get stronger! So now that we’ve got that straight, let’s make this clear: its lactate, not lactic acid! Although people use the words interchangeably, there is a slight difference; namely a hydrogen atom. At physiological pH (i.e. 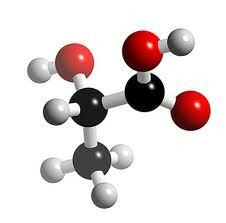 inside your body), however, the hydrogen ion is disassociated from the lactic acid molecule, rendering it lactate. But whatever you call it, the burning in your muscles feels the same right?! Why? Well, lactate is produced in your body all the time, but production increases during exercise. Your body is actually able to utilize lactate as fuel, but only at a certain rate. The more intense your workout becomes the more lactate that is produced, and at a certain point your body can’t keep up utilization and lactate starts accumulating. This is commonly referred to as lactate threshold. And here comes the muscle burn! So when you feel that burn during exercise, it’s lactate to blame…or is it? More recently, scientists have suggested that it’s not lactate that actually causes the muscle burn during intense exercise, but instead hydrogen atom build up as a by-product of ATP utilization for energy. Researchers have also discovered that lactate can actually help this situation, because it can be formed from pyruvate (a by-product of carbohydrate breakdown for energy) combining with a free floating hydrogen and then used for fuel. So in reality, lactate is a fuel not a waste product and helpful to sports performance, not detrimental. So why the confusion about lactate? Probably in part because of the complicated metabolic processes involved. There is a lot going on in the body during exercise, and the scientists who first discovered lactate didn’t get to see the full picture. What does all this mean for your sports performance? Well, not a whole lot. Although you can improve your lactate utilization with endurance training, if you are following some sort of program (including steady state endurance workouts, tempo runs and interval workouts), you are likely already improving your lactate utilization. So keep it up! The bottom line is lactate is actually more friend than foe. So let’s all stop bashing lactate and give it the appreciation it deserves!